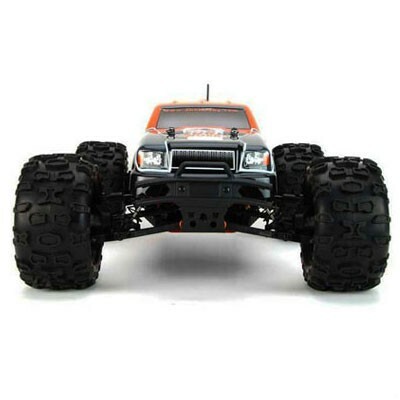 All the excitement and performance of a BIG 1/8th-scale 4WD Truck in a complete package that's affordable. The new standard in RTR 1/8th-scale EP. 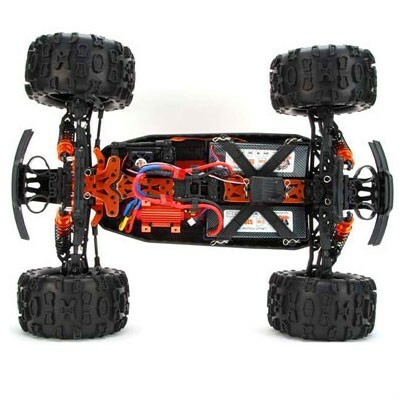 It's the total-package and ready to bash with 2.4GHz Radio, LiPo Battery, AC Balance Charger, Brushless Motor & ESC Combo, and Metal Gear Steering Servo. 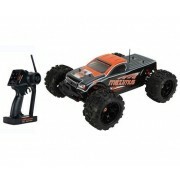 DHK has redefined the RTR 1/8th-scale category with their innovative RC vehicles. DHK is small on price but big on features. 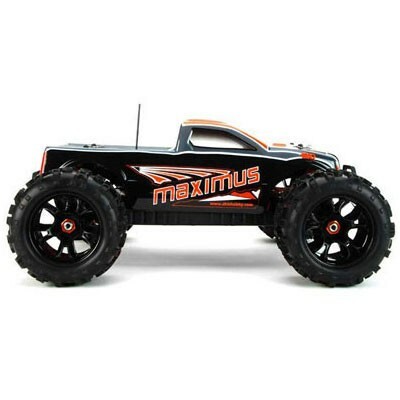 The big Maximus 1/8th-scale Truck is a complete package that is fast, fun, and durable. 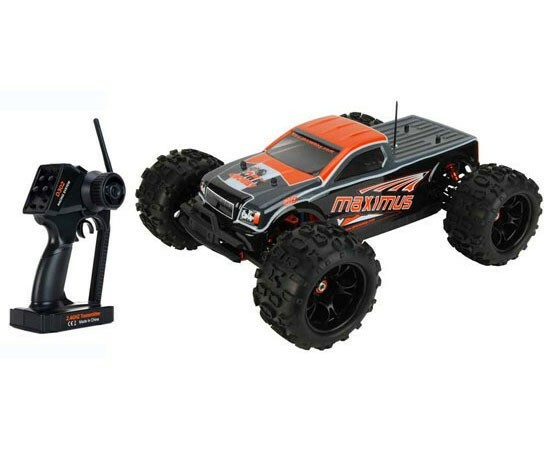 Take control of your Maximus with the easy-to-use DHK 2.4GHz radio and drive at over 50 MPH with the included 4S LiPo battery (2s x 2). 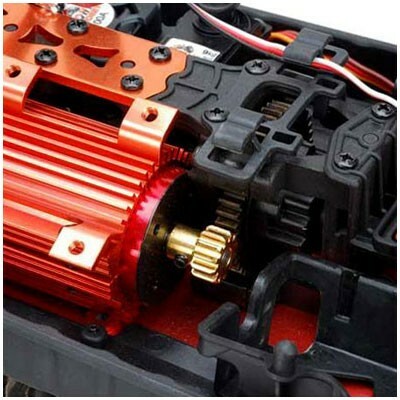 The Maximus features oil-filled all-metal shocks and all-metal shock towers. The suspension is adjustable and durable. It's all mounted to a metal chassis with a double-deck top-plate providing a super-stiff platform to improve both handling and reliability on the big jumps!